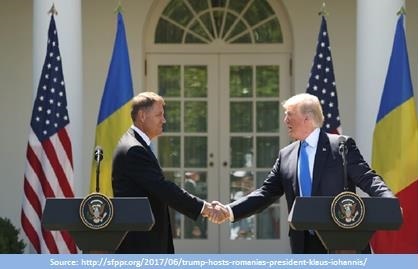 Nicholas Dima (who currently lectures and is a contributor to Selous Foundation for Public Policy Research – SFPPR– News & Analysis of the online-conservative-journalism center at the Washington-based SFPPR) wrote an article entitled “Trump hosts Romania’s President, Klaus Iohannis”, and posted on June 20, 2017 on the prestigious Selous Foundation website. SFPPR think tank was founded in 1985 during the height of the President Ronald Reagan years, whose mission is to formulate and promote public policies based on the American values and benefits derived from the Founding Fathers and the Constitution, including limited government, individual liberty, freedom, opportunity, economic prosperity and the primacy of national sovereignty. Let us recall the wise words of the President Ronald Reagan: “What makes our revolution unique and so exciting, then, is that it changed the very concept of government. Here was a new nation telling the world that it was conceived in liberty; that all men are created equal with God-given rights, and that power ultimately resides in “We the people.” We sometimes forget this great truth, and we never should, because putting people first has always been America’s secret weapon. It’s the way we’ve kept the spirit of our revolution alive—a spirit that drives us to dream and dare, and take great risks for a greater good” (Ronald Reagan: “Message on the Observance of Independence Day ,” July 3, 1981. Online by Gerhard Peters and John T. Woolley, The American Presidency Project. http://www.presidency.ucsb.edu/ws/?pid=44039). 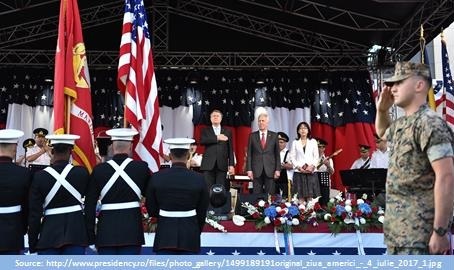 It is also worth recalling what was underlined, from the very beginning, on July 4, 2017 by the Romanian President Klaus Iohannis at the celebration of the Independence Day organized by the Embassy of the United States of America in Romania: “On behalf of the Romanian people, I warmly congratulate all of you present here today, and the entire American nation, on this special occasion. 241 years after the signing of the US Declaration of Independence, the 4th of July is fundamental not only for the American people, but for the entire world. Indeed, the world we live in today would not have been the same without this historic milestone. 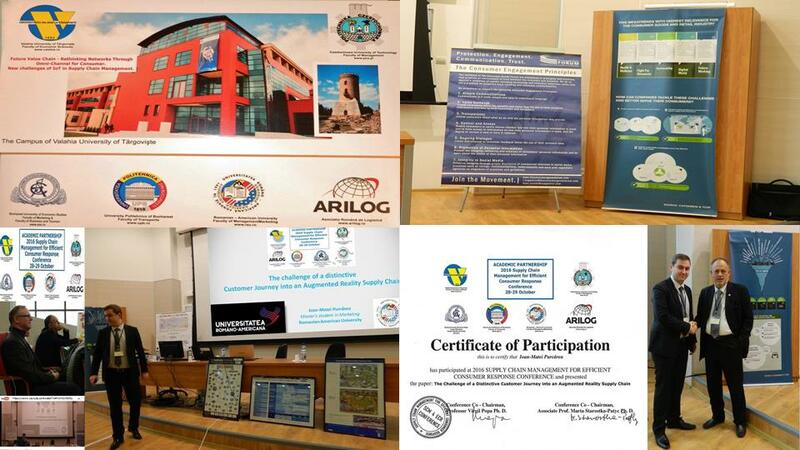 This should remind us, once more, that we – on both sides of the Atlantic – have to stand closer than ever to defend our core values and our collective security.” (http://www.presidency.ro/ro/media/discursuri/participare-la-receptia-oferita-de-ambasada-sua-cu-ocazia-celei-de-a-241-a-aniversari-a-zilei-independentei). 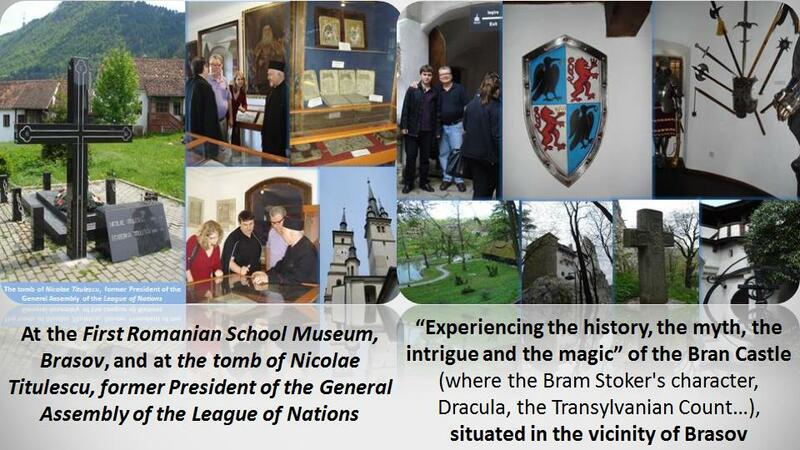 Nicholas Dima – also a visiting professor at the Romanian-American University – is a strong advocate of freedom of learning, of education, of seeking knowledge. 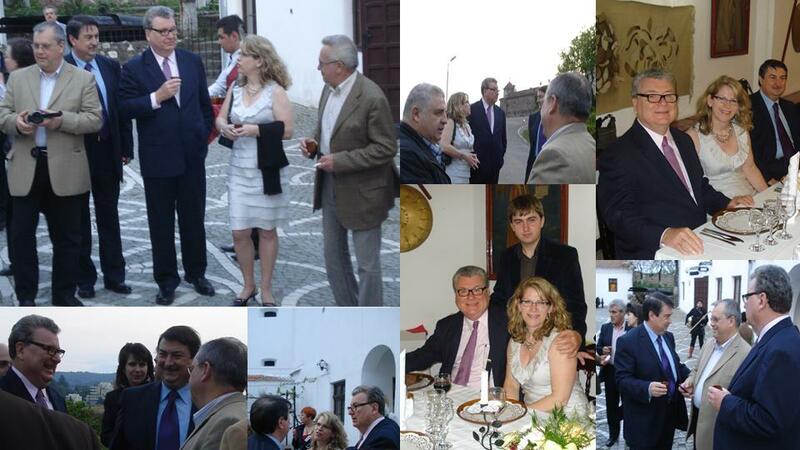 His American professional career (he received a doctoral degree from Columbia University in New York) includes working 20 years for Voice of America (VOA) in Washington, and teaching college, university and US Military schools for another ten years. Among his most rewarding achievements were meeting Kings, Presidents, and Prime ministers as a VOA reporter and editor, teaching American officers up to the rank of full colonel (for example, Professor and Director for European Studies at the US Army, J.F. Kennedy Special Warfare Center and School, Fort Bragg, NC., 1985-1988), teaching in the US and Africa, and promoting democracy, education, and human values world-wide. 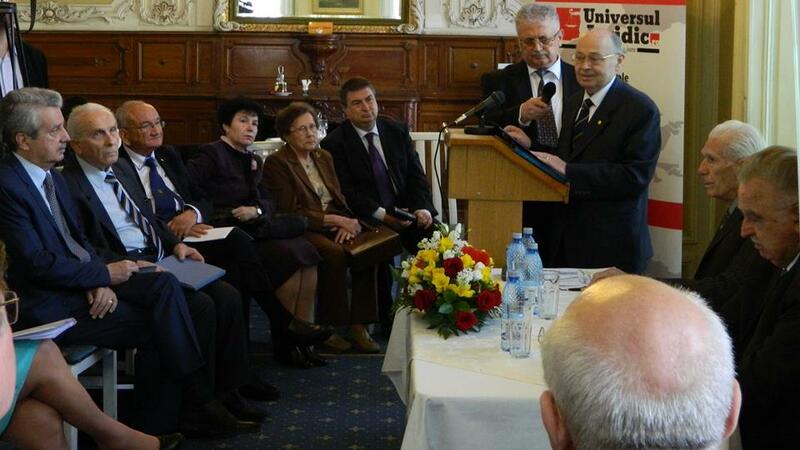 All this time, Dr. Dima defended tirelessly the rights of Romania and the Romanian people in the US and promoted a better Romanian-American understanding. 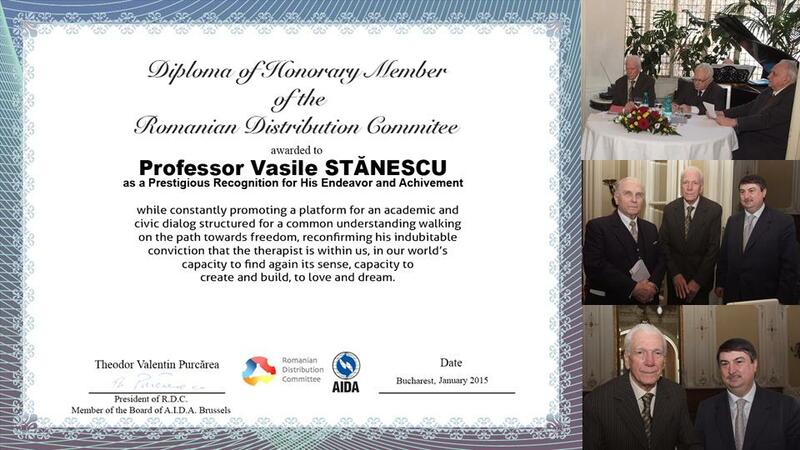 Dr. Dima also helped the cause of the Romanian-American University in the US and contributed to its cooperation with James Mason University of Virginia. He has received numerous Academic Honors, Grants, and Awards. 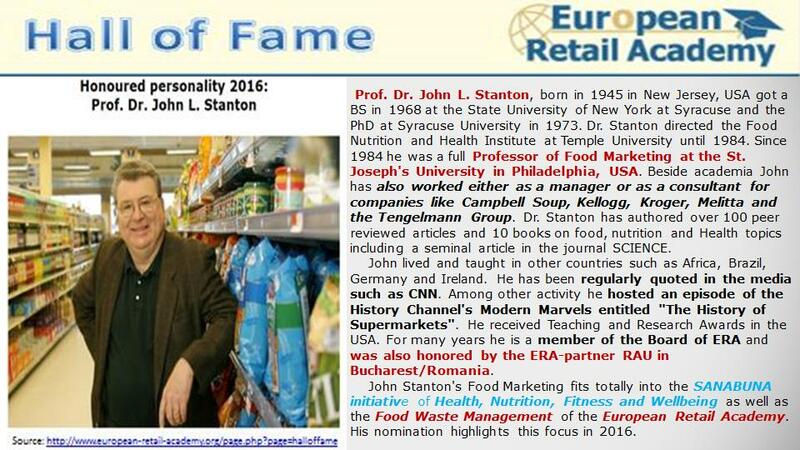 An Honorary Member of the Romanian Distribution Committee, John L. Stanton – Professor of Food Marketing at St. Joseph’s University, Philadelphia, USA, and Honored Personality 2016 of the European Retail Academy (included in the ERA Hall of Fame; other distinguished personalities who have been honored by ERA in the last years: Philip Alexander Nobel, Léon F. Wegnez, Romano Prodi, Klaus Toepfer, Robert Aumann) – is a well-known food marketing practitioner. 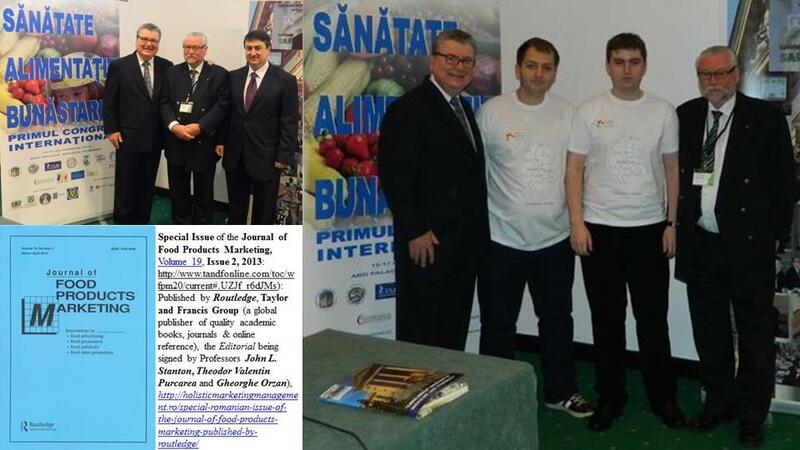 He was founding editor and Editor-in-Chief of the „Journal of Food Products Marketing”, Editor-in-Chief of the “Journal of International Food and Agribusiness”, and an editorial advisor of the British Food Journal. 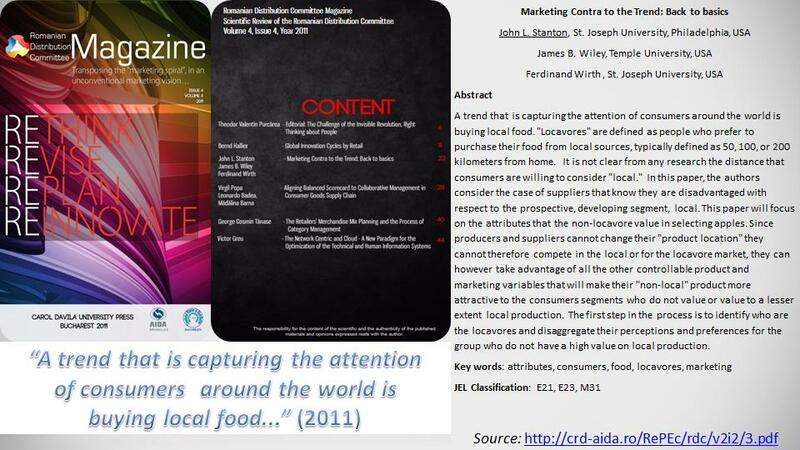 He was the Chair of the Department of Food Marketing (the first endowed chair in food marketing in the USA), Saint Joseph’s University. 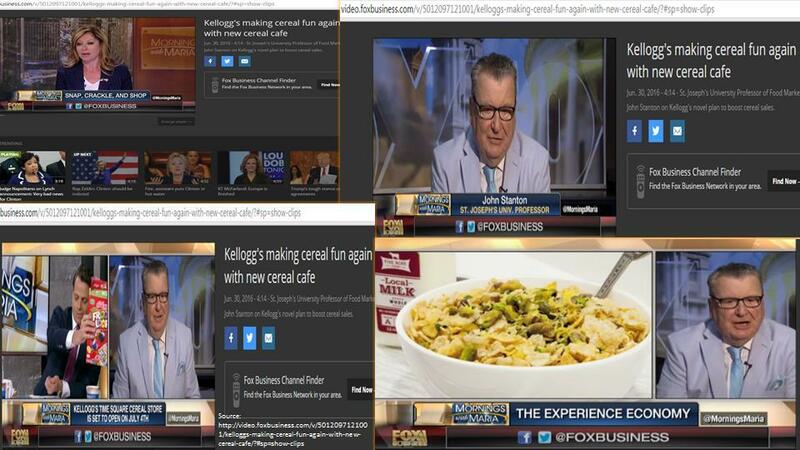 Dr. Stanton held positions in different companies’ boards, and was expert and expert witness to many food and beverage companies, being regularly quoted in the news media including CNN, the Today Show and NBC Nightly News, and also in Forbes, Fortune, Advertising Age, Brand Week, New York Times, Wall Street Journal, and many others. 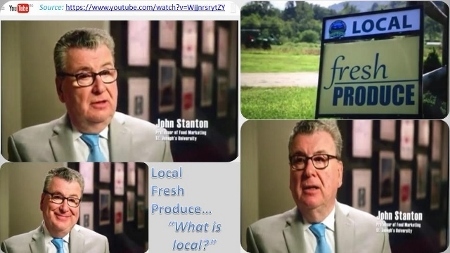 He also hosted an episode of the History Channel’s Modern Marvels entitled, “The History of the Supermarket.” Dr. Stanton was also among the first to author articles on health and nutrition advertising claims with articles in the Journal of Advertising Research as early as 1987. 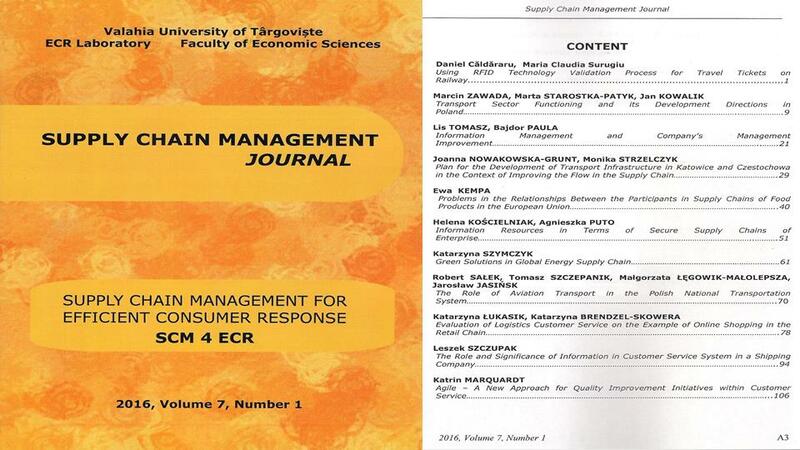 It is our pleasure to announce the official publication of Volume 7 (Number 1) of Supply Chain Management Journal (Editor-in-chief: Prof. Virgil Popa, PhD), edited by the SCM – ECR Laboratory and the Faculty of Economic Sciences, Valahia University of Târgovişte. 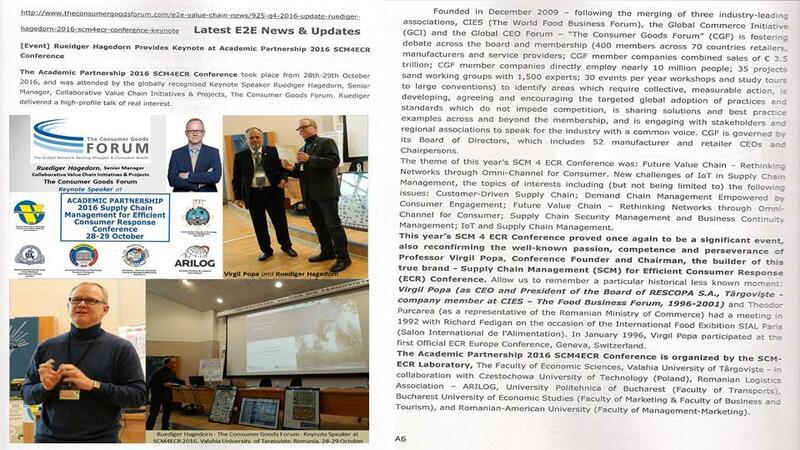 The new issue starts out by presenting the “Latest E2E News & Updates from the Consumer Goods Forum, Paris” relating to the Academic Partnership 2016 SCM4ECR Conference (organized by the SCM-ECR Laboratory, The Faculty of Economic Sciences, Valahia University of Târgovişte – in collaboration with Czestochowa University of Technology/Poland, Romanian Logistics Association/ARILOG, University Politehnica of Bucharest/Faculty of Transports, Bucharest University of Economic Studies/Faculty of Marketing & Faculty of Business and Tourism, and Romanian-American University/Faculty of Management-Marketing), where the Keynote Speaker Ruediger Hagedorn, Senior Manager, Collaborative Value Chain Initiatives & Projects, The Consumer Goods Forum, delivered a high-profile talk of real interest to everyone. 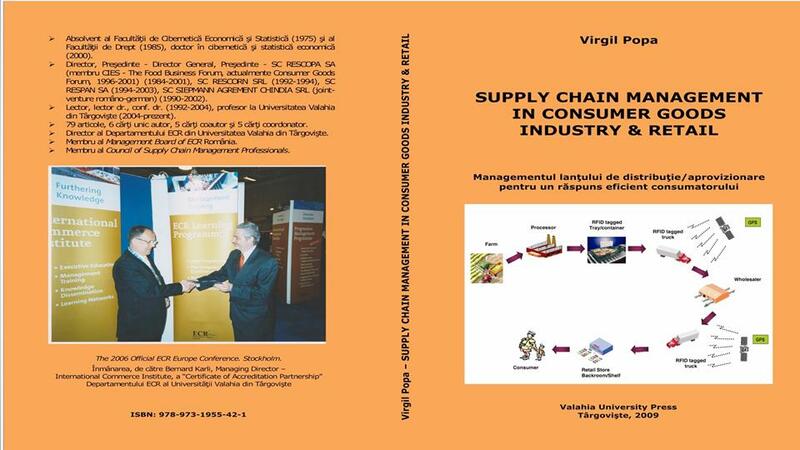 Allow us within this context to remember three valuable books published the previous years by the distinguished Editor-in-chief: Prof. Virgil Popa, PhD: “Supply Chain Management in Consumer Goods Industry & Retail” – „SCM for ECR”, Valahia University Press, 2009; “Supply Chain Management. 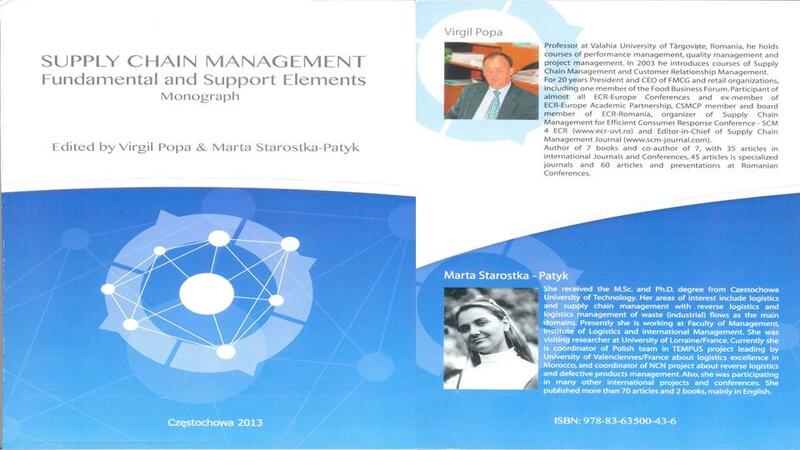 Fundamental and Support Elements”, edited by Virgil Popa & Marta Starostka-Patyk, and published by Czestochova University of Technology, Poland, 2013 (Reviewers: Janusz Krzysztof Grabara, Theodor Valentin Purcarea and Gheorghe Gh. 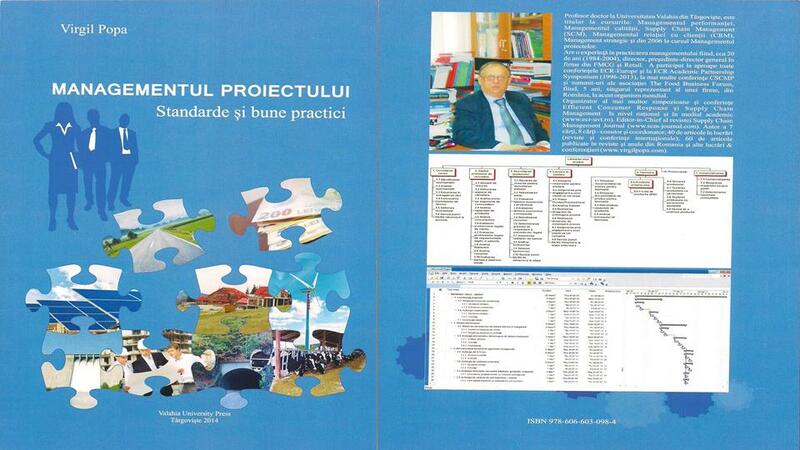 Ionescu); “Project Management. 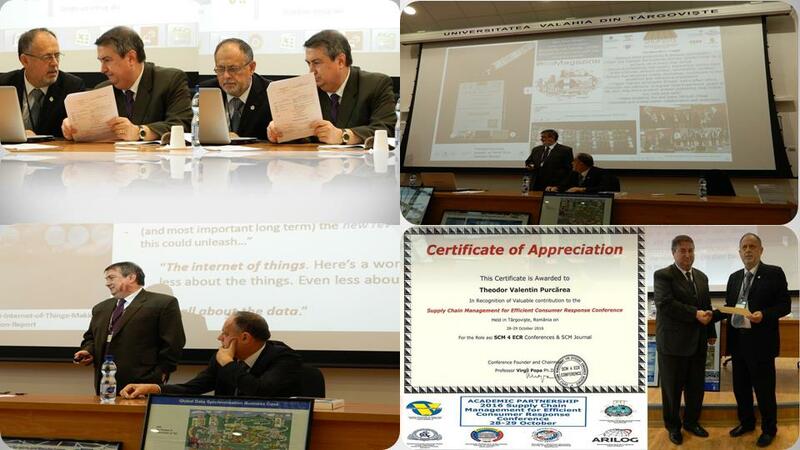 Standards and Good Practices”, Valahia University Press, 2014. 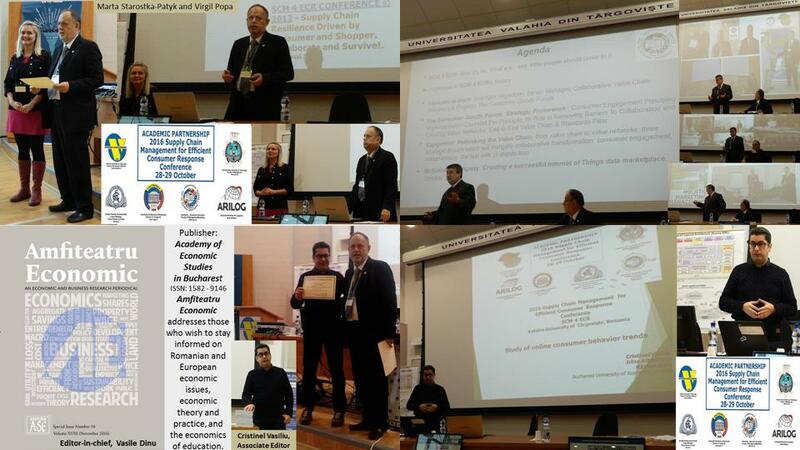 And as a picture is worth a thousand words, it is also worth remembering some pictures from the above mentioned Academic Partnership 2016 SCM4ECR Conference. Consacrat arhitect al conversaţiei lămuritoare, al comunității, al societății civile într-o lume globalizată, mereu dăruind cu generozitate gândirea despre viitor într-un mod structurat, Profesorul Vasile Stănescu, Membru de onoare al Academiei Române, capturează din nou atenţia pasionaţilor de cunoaştere de înţelepciune graţie unei noi valoroase lucrări: “Elogiul iubirii” (Editura Universul Juridic, 2016, Categoria Filosofie Românească, Colecţia Eseuri coordonată de Prof. univ. 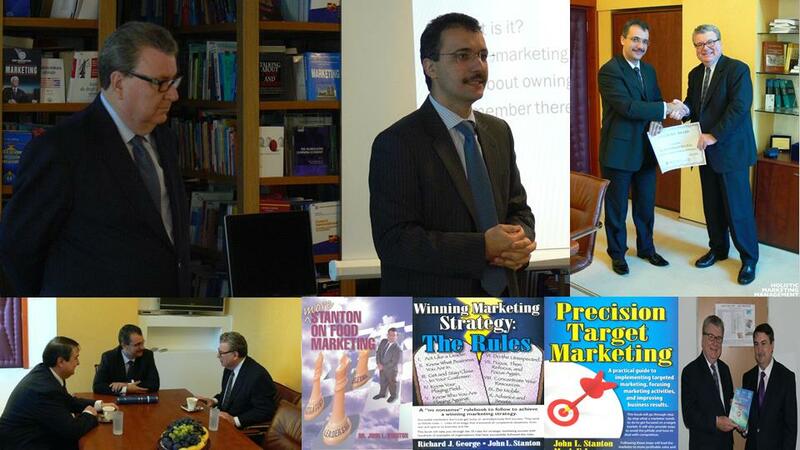 dr. Ovidiu Predescu). Onorabilul şi Venerabilul Autor continuă să înainteze pe calea frumosului, înconjurat de frumos, reflectând frumosul, abordând de această dată cel mai înălţător sentiment uman (care ne însoţeşte pe întreg traiectul nostru existenţial), prezentându-i tipologia, amploarea şi sensul, invitând totodată la meditaţie şi reflecţii pe această temă fundamentală. Pledoaria responsabilă a Domniei Sale pentru avansul economico-social organizat, pentru victoria raţiunii ca sursă a armoniei generatoare de soluţii viabile în raport cu aşteptările societăţii umane, pentru regăsirea valorilor fundamentale ale familiei globale, este binecunoscută de mult timp. 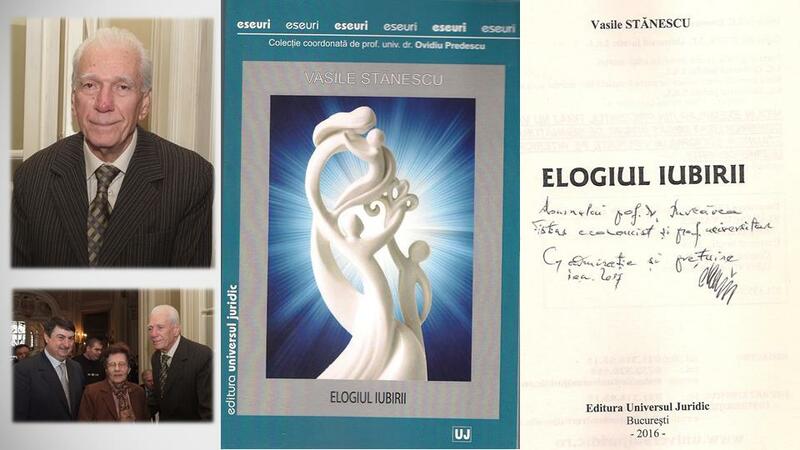 De această dată, Profesorul Vasile Stănescu, Membru de onoare al Academiei Române, ne invită – în contextul în care “lumea de azi a ajuns în pragul limitelor sale istorice” şi “ne aflăm între întuneric şi lumină”– nu să descifrăm hermeneutica iubirii, ci să trăim acest cel mai puternic şi profund sentiment uman, să ne bucurăm de el, să-l primim şi să-l dăruim, deoarece iubirea este “divinul din noi”. 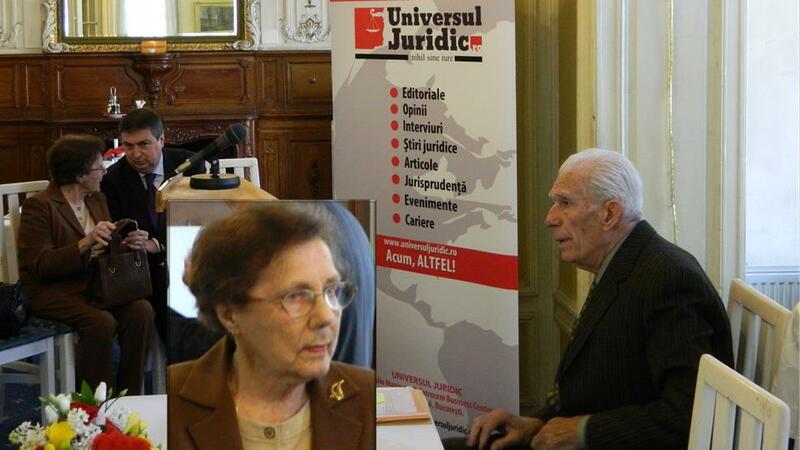 Autorul mărturiseşte, de asemenea, privilegiul căsniciei cu distinsa Doamnă Yvonne (lucrarea fiind dedicată memoriei distinsei Sale Soţii), care rămâne, pentru Domnia Sa, “o victorie a spiritului uman, a sufletului profund, a disponibilităţii nelimitate”, mulţumindu-i totodată şi fiului Dan, considerat “un exemplu de iubire şi frumuseţe lăuntrică”. 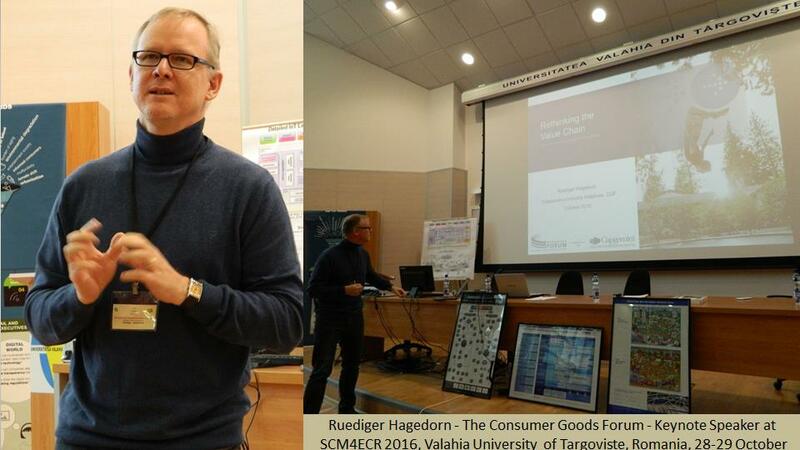 Ruediger Hagedorn, Senior Manager, End-to-End Value Chain, the Consumer Goods Forum (CGF) attended the Academic Partnership 2016 SCM4ECR Conference organized by the SCM-ECR Laboratory, The Faculty of Economic Sciences, Valahia University of Târgovişte – in collaboration with Czestochowa University of Technology (Poland), Romanian Logistics Association – ARILOG, University Politehnica of Bucharest (Faculty of Transports), Bucharest University of Economic Studies (Faculty of Marketing & Faculty of Business and Tourism), and Romanian-American University (Faculty of Management-Marketing). 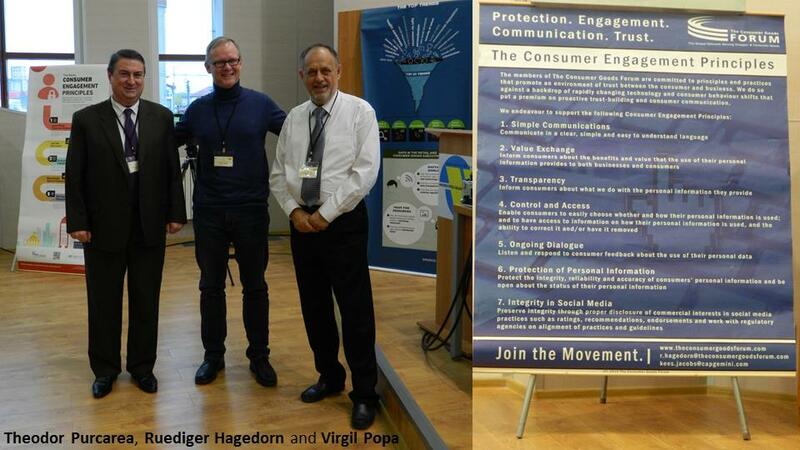 On the occasion of this valuable Conference the globally recognised Keynote Speaker Ruediger Hagedorn delivered a high-profile talk of real interest to every participant. 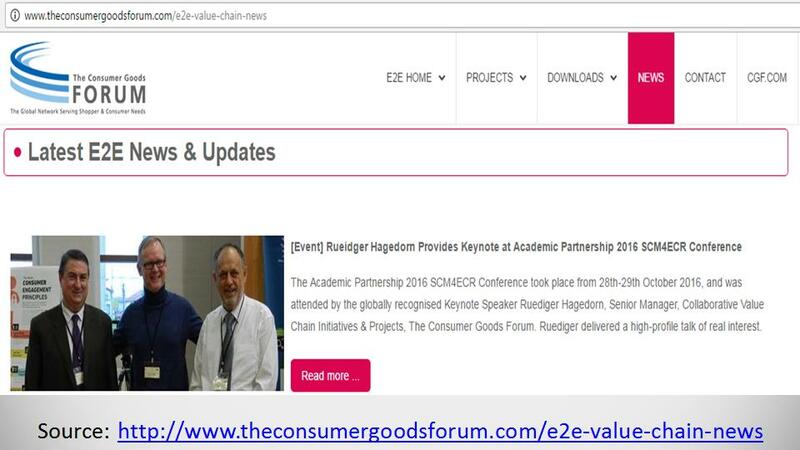 It is already known that the theme of this year’s SCM 4 ECR Conference was: Future Value Chain – Rethinking Networks through Omni-Channel for Consumer. 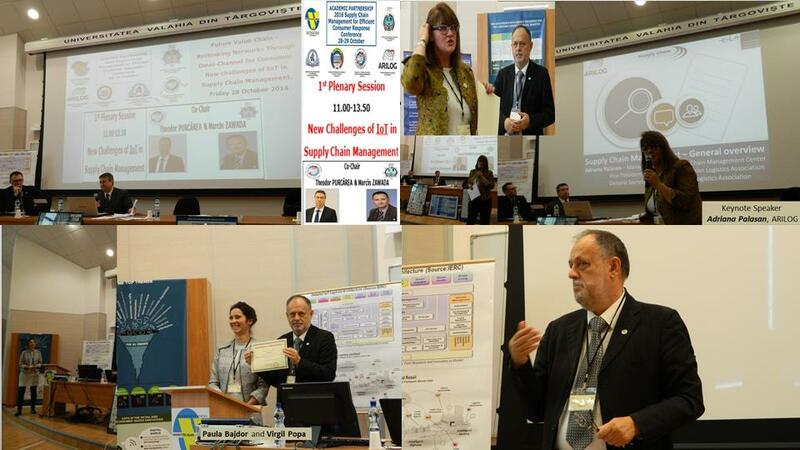 New challenges of IoT in Supply Chain Management, the topics of interests including (but not being limited to) the following issues: Customer-Driven Supply Chain; Demand Chain Management Empowered by Consumer Engagement; Future Value Chain – Rethinking Networks through Omni-Channel for Consumer; Supply Chain Security Management and Business Continuity Management; IoT and Supply Chain Management. 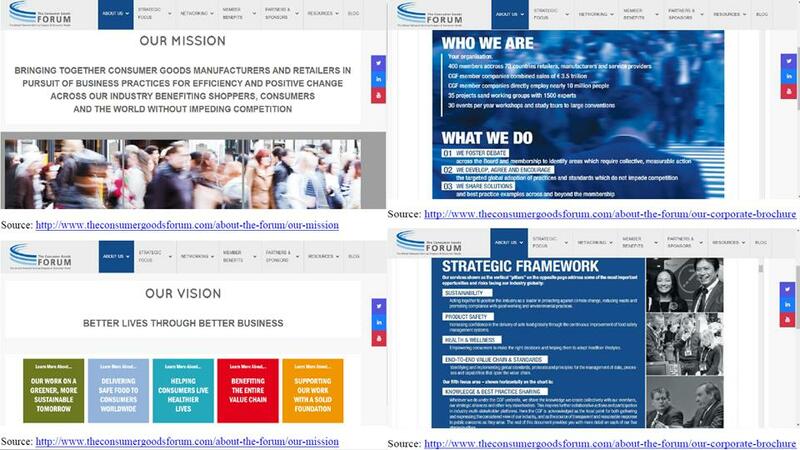 Founded in December 2009 – following the merging of three industry-leading associations, CIES (The World Food Business Forum), the Global Commerce Initiative (GCI) and the Global CEO Forum – “The Consumer Goods Forum” (CGF) is fostering debate across the board and membership (400 members across 70 countries retailers, manufacturers and service providers; CGF member companies combined sales of € 3.5 trillion; CGF member companies directly employ nearly 10 million people; 35 projects sand working groups with 1500 experts; 30 events per year workshops and study tours to large conventions) to identify areas which require collective, measurable action, is developing, agreeing and encouraging the targeted global adoption of practices and standards which do not impede competition, is sharing solutions and best practice examples across and beyond the membership, and is engaging with stakeholders and regional associations to speak for the industry with a common voice. 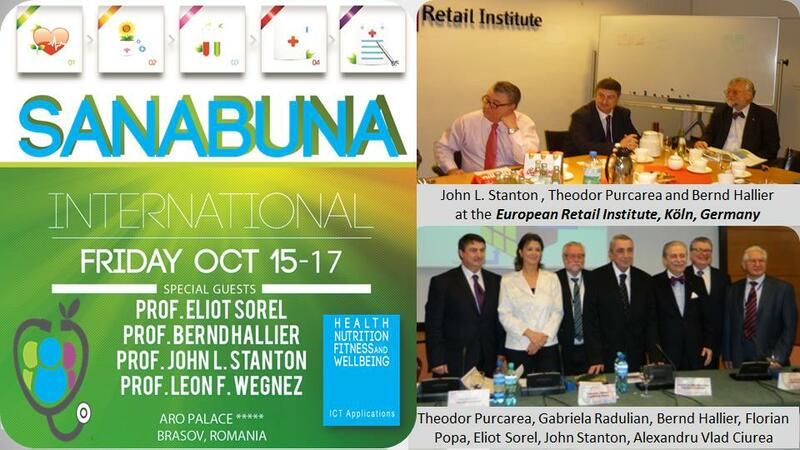 CGF is governed by its Board of Directors, which includes 50 manufacturer and retailer CEOs and Chairpersons. 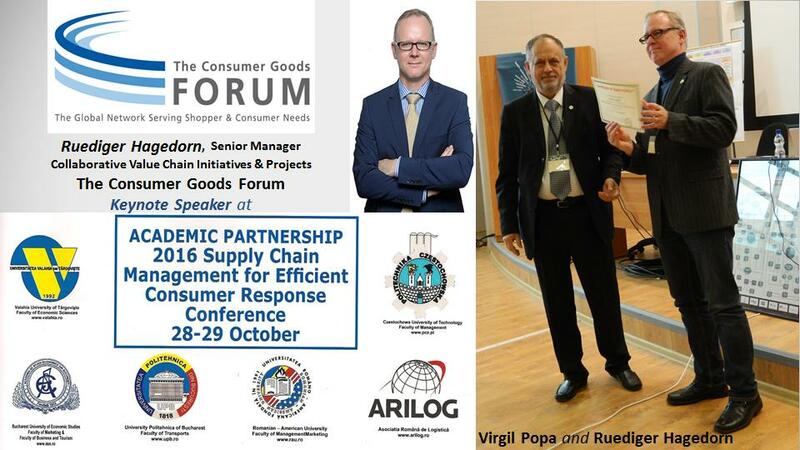 This year’s SCM 4 ECR Conference proved once again to be a significant event, also reconfirming the well-known passion, competence and perseverance of Professor Virgil Popa, Conference Founder and Chairman, the builder of this true brand – Supply Chain Management (SCM) for Efficient Consumer Response (ECR) Conference. 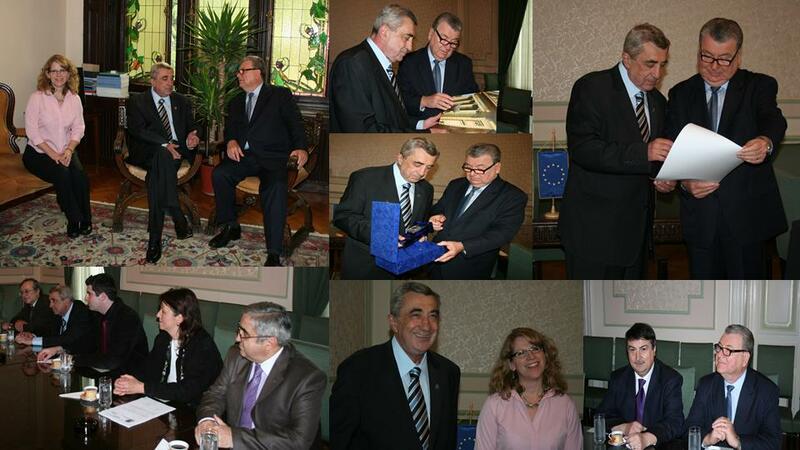 Allow us to remember a particular historical less known moment: Virgil Popa (as CEO and President of the Board of RESCOPA S.A., Târgovişte) and Theodor Purcarea (as a representative of the Romanian Ministry of Commerce) had a meeting in 1992 with Richard Fedigan, President & CEO of CIES (January 1990 – February 2005), on the occasion of the International Food Exibition SIAL Paris (Salon International de l’Alimentation). Four years later, in January 1996, Virgil Popa participated at the first Official ECR Europe Conference, Geneva, Switzerland. 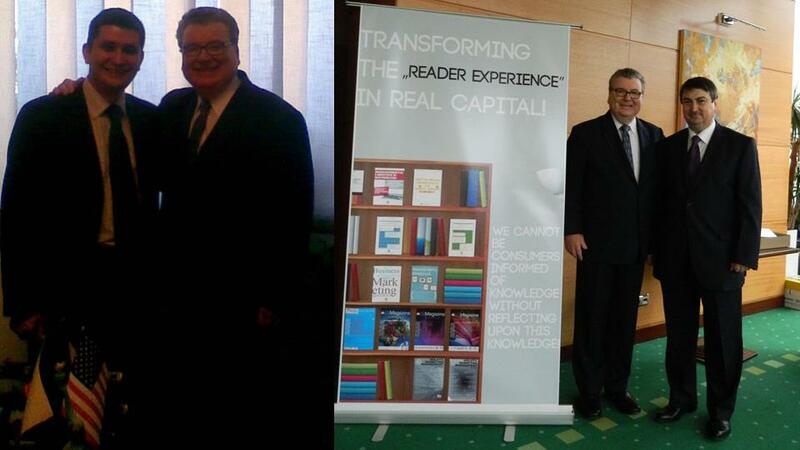 And in June 1996, Virgil Popa and Theodor Purcarea participated at the 22nd Congress of the International Association of the Distributive Trade (AIDA Brussels), Vienna, Austria.